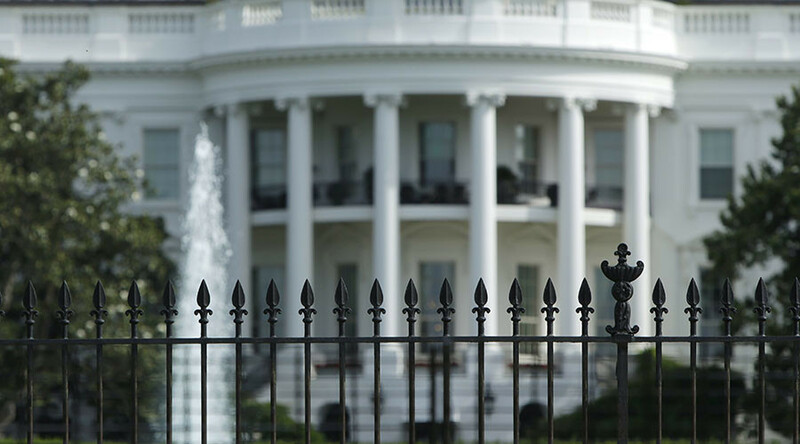 The White House has been placed on lockdown after someone jumped a bike rack serving as a barrier on the north fence line along Pennsylvania Avenue, the US Secret Service has said. The suspect is in custody. The incident occurred around 4:35pm local time. Tourists and reporters were sent scurrying, according to NBC News’ Blayne Alexander. Journalists were moved from the live shot location outside the West Wing into the briefing room. Security was heightened at the White House due to an earlier visit by Turkish President Recep Tayyip Erdogan. Protests greeted Erdogan outside the White House as he met inside with President Donald Trump. The Turkish leader had already departed the executive mansion when the incident occurred.